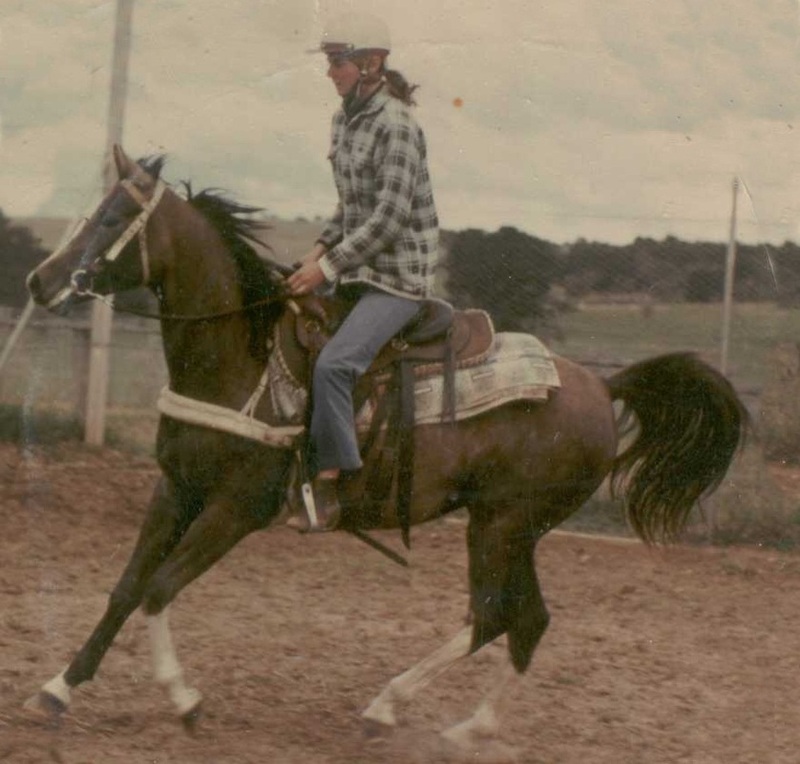 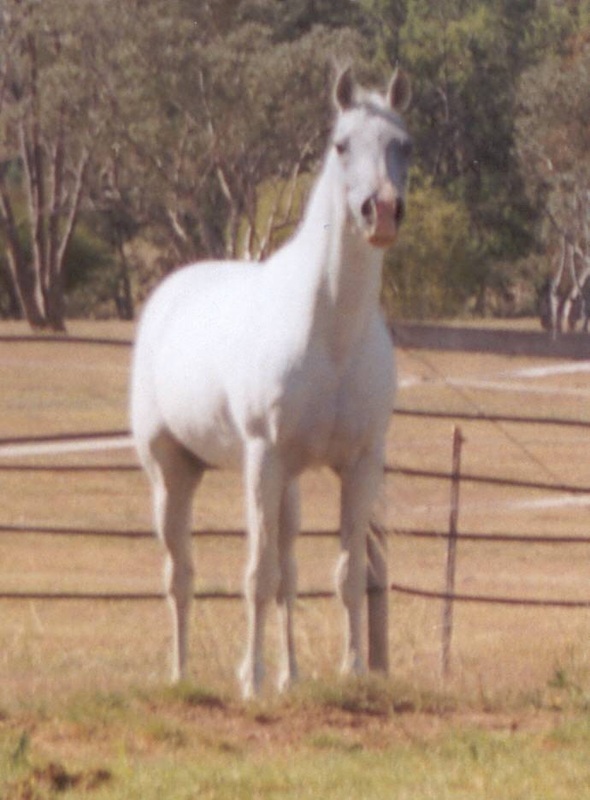 A wonderful old stallion, "Squirt" has been a treasured part of our stud since he was 6 months old. 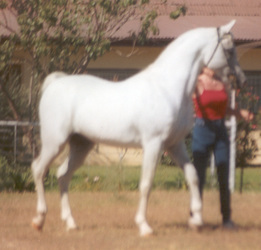 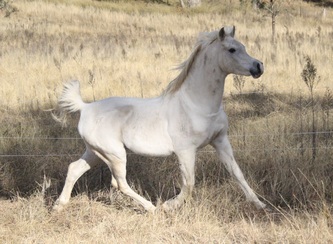 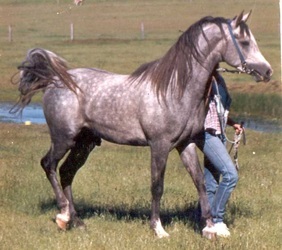 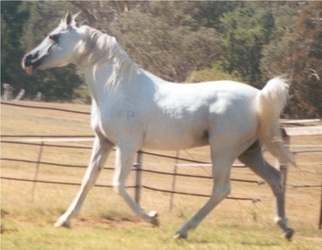 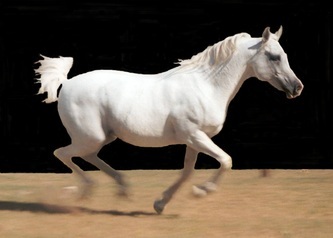 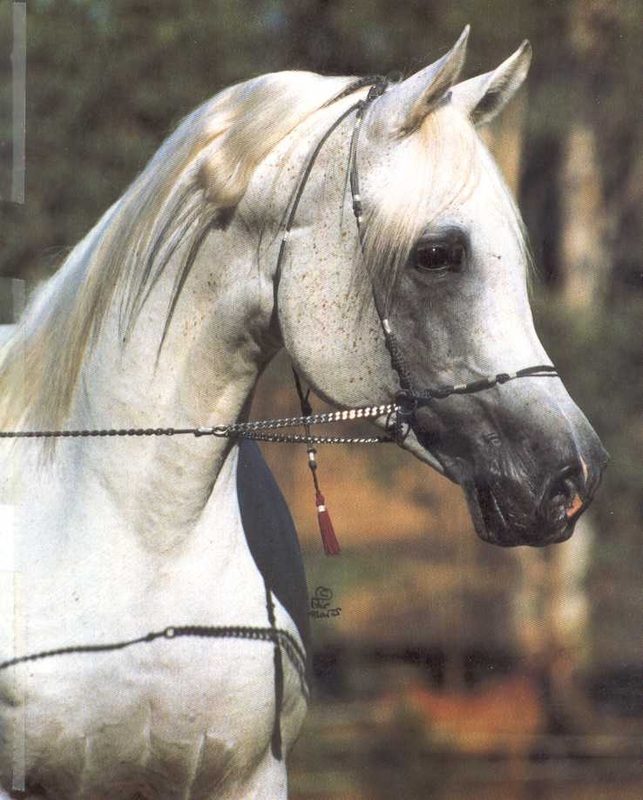 Snow white, refined and correct, he epitomises the classical arabian stallion. 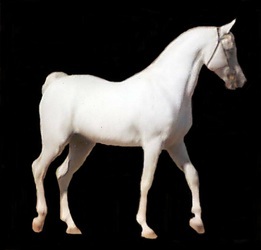 He has produced superb stock including Salam Kadesh, the beautiful senior stallion of Karabil Arabians, owned by John Robertson and Helen Cameron. Kadesh has been an outstanding show and endurance horse and has produced world class progeny, some of which have been exported. We have two of Squirt's gorgeous daughters in our mare band, Salam Macushla and Salam Nasarah, both with their father's snow white colouring and wonderful type. Squirt is retired from breeding.